AP Sensing is proud to announce that we have passed the strict testing procedures for Fire Detection, and are now certified for FM Approval according to the Class 3210 Standard "Heat Detectors for Automatic Fire Alarm Signaling". Recognized and respected around the globe, FM Approvals certification assures customers that our products have been objectively tested and conform to national and international standards. AP Sensing remains committed to the special hazard market. Our fiber-optic based linear heat detection (LHD) solution meets or exceeds the FM requirements for all tests related to operating temperatures, voltage range, and electrical ratings. 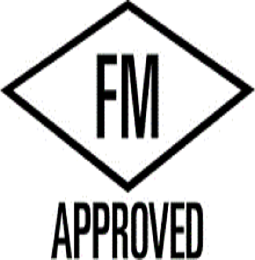 The FM certification adds to our industry-leading set of approved tests and certifications. These certifications are typically required for applications such as traffic and transport tunnels, conveyor belts and production areas, power plants and refineries, freezer warehouses, and industrial factories.